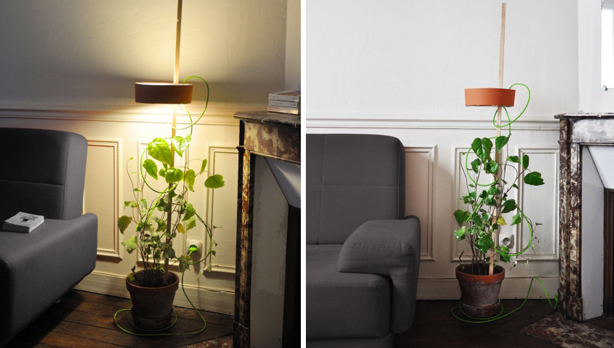 New from French company, La Corbeille: a combination standing lamp and plant container. 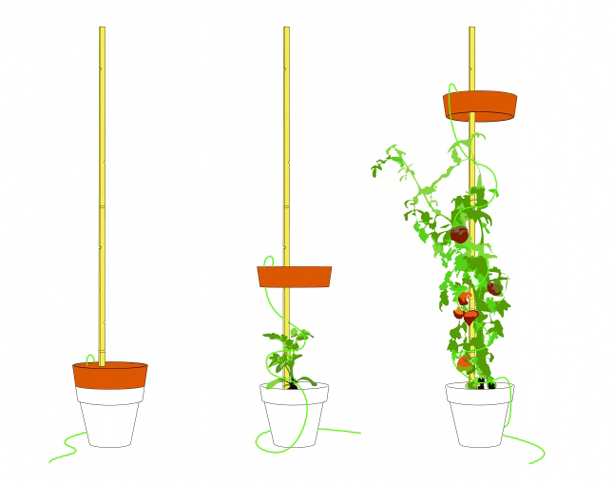 The fabric lampshade rests on the top rim of the pot until you pull it up to turn it on–providing light for the plant and illuminating your room. 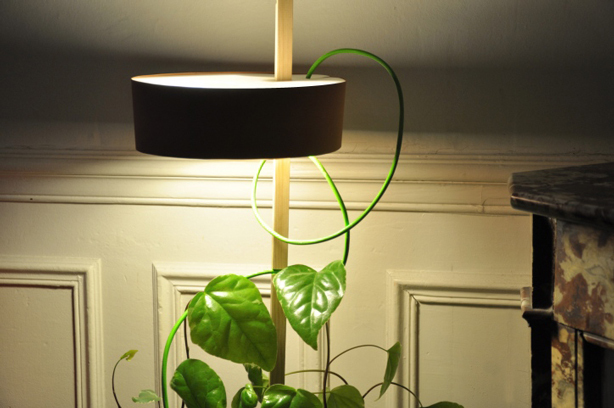 Designed by Aavra Aurélien Veyrat and Tanguy Nguyen, the lamp will be available in September for 15o euros.